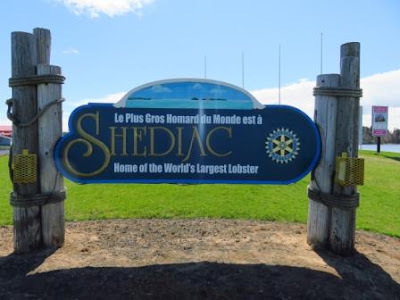 I had some meetings this morning in Shediac. 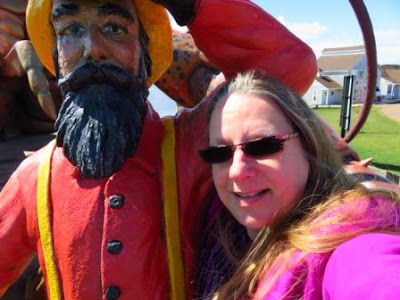 I discovered this week that Shediac is known at the "Lobster Capital of the World". 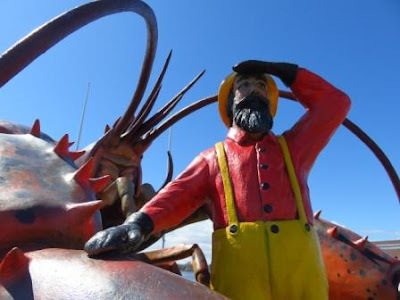 It hosts an annual festival every July which promotes its ties to lobster fishing. This year celebrating the 67th anniversary of the Lobster Festival, the greater Shediac Chamber of Commerce will attempt to break their world record by preparing a lobster roll reaching over 85 feet 6 inches long. 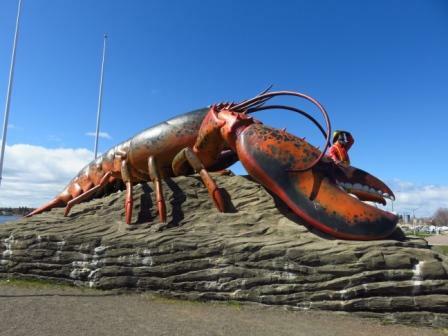 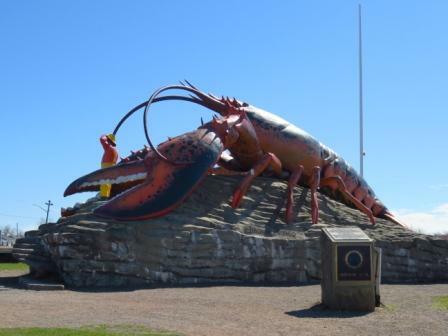 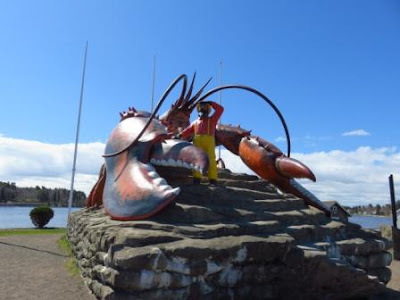 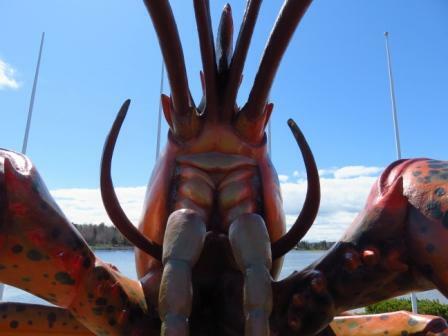 At the western entrance to Shediac is a 90-tonne sculpture called "The World's Largest Lobster". 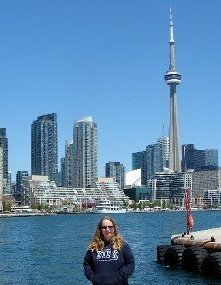 After my meetings, I had to stop in and see for myself!